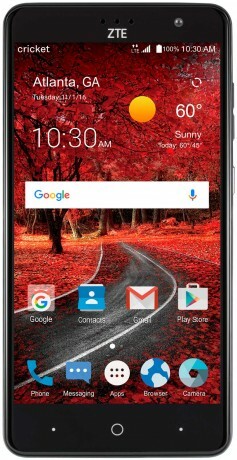 ZTE today announced the Grand X 4, a $130 phablet, for Cricket Wireless. The device features a 5.5-inch 720p HD screen, Snapdragon 412 processor, 2 GB of RAM, and 16 GB of storage. Its main camera snaps 13-megapixel images with features like panorama and manual controls, and it shoots full HD video. The user-facing camera snaps 5-megapixel images and shoots 720p HD video. The Grand X 4 has a 3,140mAh battery, USB-C, and supports Qualcomm's Quick Charge 1.0 for quicker power-ups. The fingerprint sensor can be used to unlock the phone, as well as launch apps and open the camera. The Android 6 Marshmallow operating system includes Dolby Audio and a number of Cricket apps. The ZTE Grand X 4 hits Cricket stores November 22. Snapchat today said it is adding a new tool to help users save their favorite snaps and stories. Memories are stored below the camera app; users need only swipe up to see them.